11/21/18 - Join us for Small Business Saturday on November 24th! The shop will be closed on Thanksgiving Day and Black Friday (11/22 & 11/23). However, be sure to stop in on Saturday, November 24th for the Small Business Saturday Sale and Shop Small! We'll be open on Saturday from 10am-4pm and ALL Batiks will be 15% off!!! This month's Sewcial Guild meeting, on Thursday, November 29th at 11am, will feature Jody Beck of Jody's Gems. She will present 20-30 completed projects including quilts, table runners, toppers, placemats and tree ornaments. Many of Jody's patterns feature the Stack and Slash technique which is a cousin to the Stack and Whack. Stack and Whack is typically for precise quilters whereas Stack and Slash is a more random and much quicker technique. It is great for quilters who want to relax and accomplish a lot in a short period of time. Guests are always welcome to come to meetings to familiarize themselves with the guild's activities and make friends, so we hope to see you there! We'd like to send our thanks to everyone who participated in this year's hop and made it a great one! 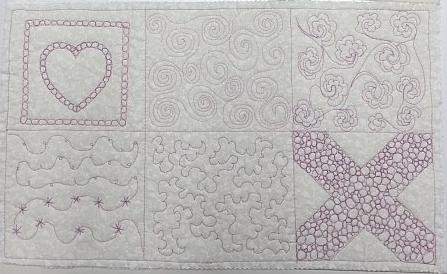 And congratulations to Carol Reynolds who won the Quilted Crow's door prize of 16 fat quarters from Studio E Fabrics. The Sewcial Guild is once again be offering Christmas Ornaments and small gift bags for sale at the Crow. All donations collected from these items will be given to Family Promise of Carbon County. For more information about Family Promise and how they give hope to homeless families in the Carbon County area, please click HERE. There are still spots available for the second class, please call the shop if you're interested. The class will be held at the Palmerton Library, located across the street from the shop, in the upper floor Gallery. Elevator access is available to the upper floor. Students must supply their own muslin quilt sandwich squares. Supply list will be available upon class registration. An easy project just in time for the holidays! This festive 50" x 17" Table Runner is made using our "A Festive Season" border and paisley fabrics along with our Quilting Treasures Vanilla blender. Supply List will be provided upon class registration. To sign up, please call the shop at (610)900-4700 or click HERE to register online. 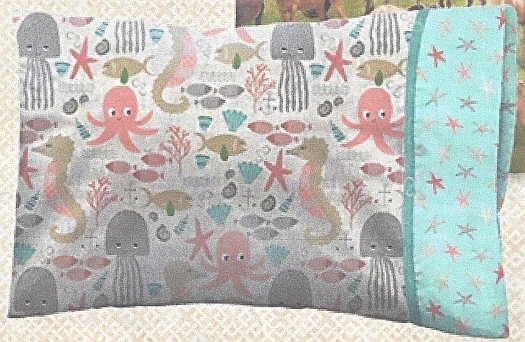 Let local Palmerton resident Elizabeth Campbell teach you sewing machine basics while you create a standard-size pillowcase. Crow Sew - The next scheduled meeting at the Crow will now be onWednesday, December 5th at 10am. Sewcial Guild - The next scheduled meeting will be on Thursday, November 29th, 2018 at 11am and will feature a Trunk Show which will be open to the public, see the article above. The guild meets in the upper floor Gallery of the Palmerton Library, across the street from the Shop. Elevator access to the upper floor is available. Quilts of Valor - The next scheduled meeting at the Crow will be onThursday, November 29th, 2018 at 2pm.